Chicago Web Design company Idea Marketing Group is proud to announce that we recently took home Small Business of the Year honors from the Yorkville Chamber of Commerce. The honor follows the firm's continued top Chicago Marketing Firm ranking from Clutch. 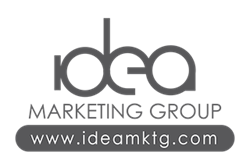 Idea Marketing Group is a growing Chicago web design and marketing company that serves clients in a variety of B2B and B2C industries. Chicago web design and marketing company Idea Marketing Group recently received the 2016 Small Business of the Year Award from the Yorkville Area Chamber of Commerce. The award was presented to Idea Founder and President Darren Fox at the Chamber’s Annual Dinner at Whitetail Ridge Country Club in Yorkville. Idea Marketing Group opened its first office in Chicago in 2009 in the midst of one of the worst economic downturns our country has faced. The company moved to its Yorkville location at 1939 Bridge St. in 2015. Idea is made up of a team of senior level web design and marketing professionals with over 50 years of combined experience. In addition to the Yorkville Chamber award, Idea has once again been named a top digital marketing agency by leading software and professional services ranking service Clutch.co. Of the 34 Chicago firms ranked by Clutch for 2017, Idea Marketing Group ranked at No. 6 with 4.7 stars out of a possible 5. In their rankings, Clutch analysts weighed a number of characteristics to fully evaluate Chicago agencies. This included a heavy focus on the digital services offered. Client interviews, previous experience, and marketplace presence also played a large role in Clutch’s evaluation. Past Idea clients interviewed by Clutch cited our creative techniques in lead generation, innovative website design and attention to detail. “Idea Marketing as always is a great group to work with. They bring an organized and timely workflow to our somewhat chaotic workflow. It was great having them help us along the way with reaching milestones within a timely fashion,” wrote one reviewer. Beka Wyatt, a project manager with several years of creative experience, has joined Idea’s team of senior-level marketing and web design professionals. Beka comes to Idea after having also just founded a local tea & coffee company and eatery. Whether managing a retail shift, a medical team, or creative projects, Beka has 20 years of experience making sense of details. She said her favorite part of her job is getting to know people and their stories. Idea Marketing Group is a growing Chicago web design and marketing company that serves clients in a variety of B2B and B2C industries. We strive to build custom websites and create carefully tailored marketing solutions that get results.